Florida Dental Implant & Aesthetic Center is the least expensive way to get a permanent smile that is both beautiful and functional in one day. If you are missing a single front tooth, or need up to 6 front teeth, Dr. Zaman is able to give you a solution. With the latest technology in the dental implant industry we are able to send our patients home with permanent teeth on surgery day. Whether you are missing your tooth or teeth due to: sports injury, car accident, a fall or health related issues; we are able to help you! Patients can replace even an entire mouth of missing teeth with appliances that look and feel nearly like their real teeth. One particularly good option for edentulous patients is Dental Implants. With this revolutionary technique, Dr. Zaman places a minimum of four dental implants in the upper and/or lower jaws, and that quartet anchors the entire prosthetic arch. This procedure is completed right in our office, and the patient receives a complete set of teeth on the day of surgery. The whole process takes between 6-8 hours in our Florida office. Patients regain maximum functionality in terms of chewing and speaking, and the dentures stay in place and the shape of the jawbone remains constant. The maintenance of the implant bridge is simple and inexpensive. The material used is easily repairable whereas, repairing porcelain crowns and bridges can be costly. There is no repairing when it comes to porcelain material. Dental Implants procedure is more efficient than conventional crowns, bridges and dentures. The procedure also helps to stabilize the jawbone in a way that regular dentures cannot. The dental implants stand in for some of the missing teeth’s roots, minimizing jawbone atrophy and maintaining consistency in the shape of the bone over time. 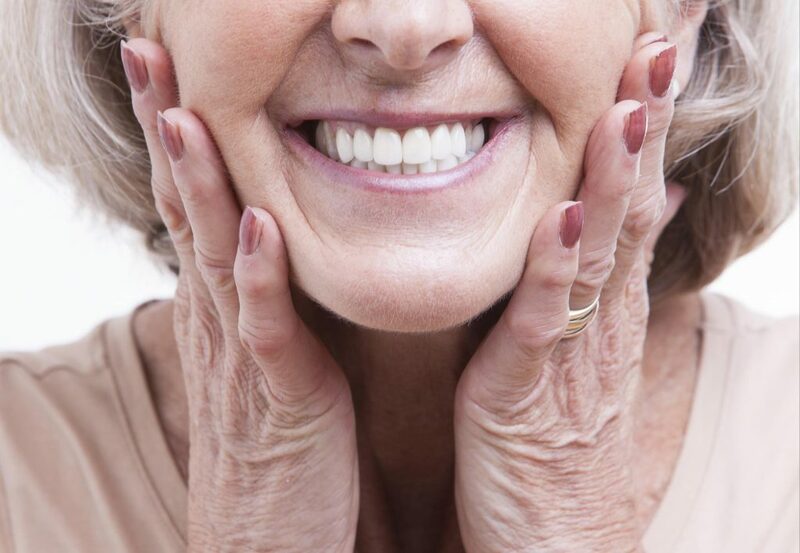 The bone loss that accompanies tooth loss is a major concern for denture wearers—especially those who have had dentures for many years—who want to make the switch to dental implants. Dental Implants helps to overcome this obstacle, too. The implants are strategically located toward the front of the jaw, where bone erosion takes place more slowly. This positioning eliminates the need for a bone graft or sinus augmentation that some dental implant patients would face when choosing conventional denture, crown or bridge work for teeth replacement. With these additional dental procedures the patient would be making multiple surgical appointments to complete the treatment; taking at least 1 year to complete. These patients will also have more dental implants placed which will increase the cost of treatment tremendously. Would you like to learn more about your same-day teeth replacement? Call trusted implant dentist Dr. Zaman today at (407) 988-2003.